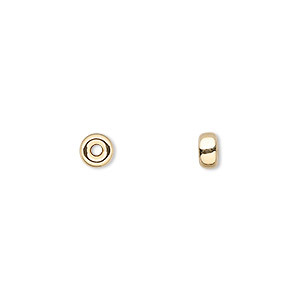 Bead, 14Kt gold, 6mm corrugated round. Sold per pkg of 10. Item Number: H20-1547MB Have a question about this item? 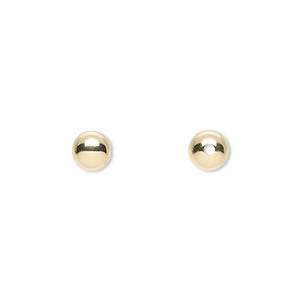 Sometimes only genuine 14Kt gold will fill the bill. Keep a good supply of varied shapes and sizes to maximize your design potential. 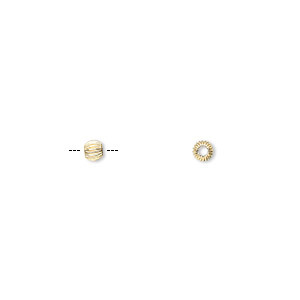 Bead, 14Kt gold, 3mm corrugated round. Sold per pkg of 10. Bead, 14Kt gold, 8mm corrugated round. Sold per pkg of 6. 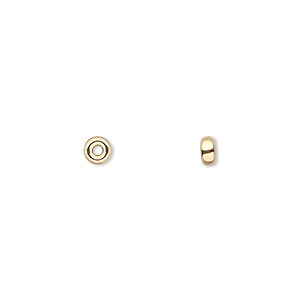 Bead, 14Kt gold, 4x2mm rondelle. Sold per pkg of 10. 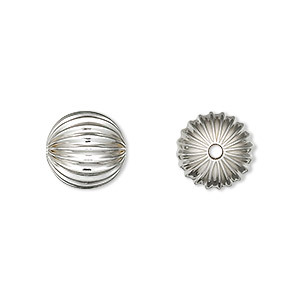 Bead, sterling silver, 11mm seamless corrugated round. Sold per pkg of 10. 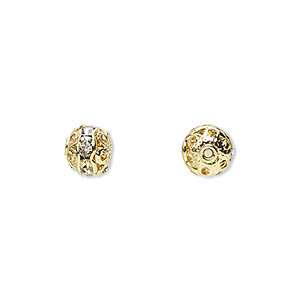 Bead, glass rhinestone and gold-finished brass, clear, 6mm banded round. Sold per pkg of 10. Bead, antique gold-plated brass, 6mm corrugated round. Sold per pkg of 100.